Andydrewz's Pages: Columbo in Space Again!! Yes. 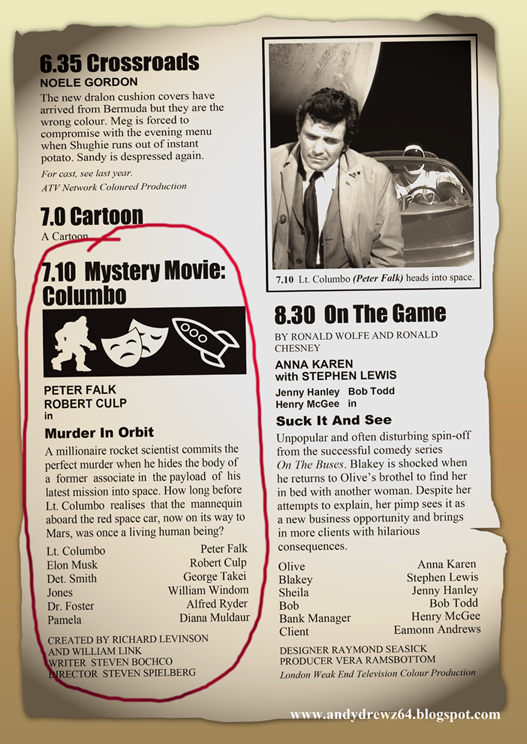 I've done Columbo in Space before. An off-the-wall piece with pics depicting the rarely seen crossover episode that the shabby but brilliant detective had with Space 1999 based on a Japanese graphic novel thing I couldn't translate. 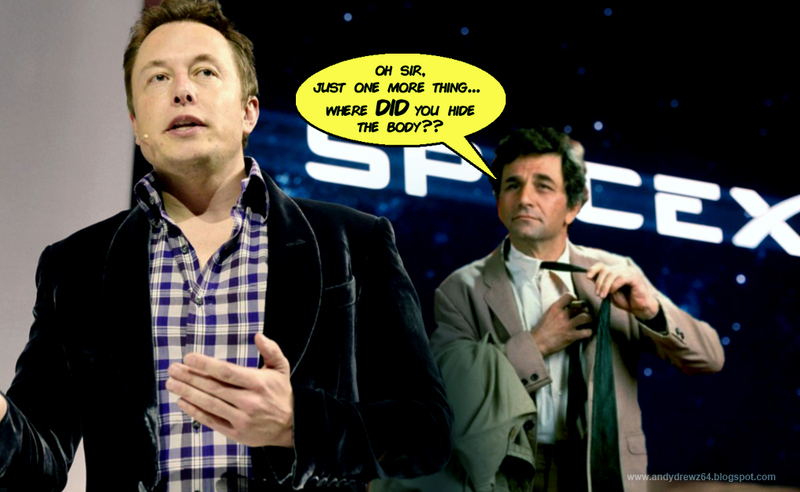 The recent space rocket publicity launch by Elon Musk (I'm sure that's a 70s eau de toilette brand) made me return to the subject in an effort to get a handful of titters. Money for old rope... or something more sinister? You decide. Thunderbirds Toys for Girls and Boys! Sapphire and Steel Emergency Hotline!